Our 100+ empaneled trainers have gallantly improved lives of more than 10000 professionals. We continue to evolve on our 10 + accreditations and 400+ training courses, yet our core principles remain true to a single vision: Transforming Lives. Study at your own pace. Access our e-learning courses as per your convenience either from your home or your office. We bring classrooms to home with our Instructor-Led Online classrooms. Attend live classes from the privacy of your home/office. Traditional classroom programs. Attend the classes at your nearest venue! 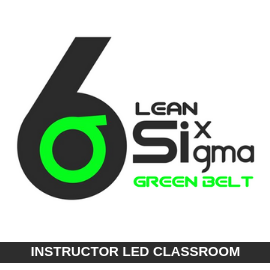 Lead instructor developing and delivering Project Management and Six Sigma Green/Black Belt, Big Data, and IT-related certifications training workshops virtually and in person. Highly experienced instructor certified in Project Management (PMI, PMP) and ITIL Foundations. Additional experience in management training with an emphasis on communication and people skills. 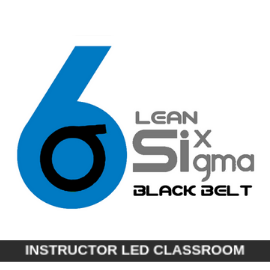 Lean Six Sigma Consultant specializing in Lean Six Sigma training and facilitating significant process improvement through the application of Lean Six Sigma methodologies, professional process analysis, and simulation. Senior PMP certification instructor/trainer – creating an upbeat atmosphere to facilitate the most effective learning experience. CompTIA Project+ Certified and PMP Certified. I opted for IT service and architecture course from MSys and it was a good learning experience. I liked the way content was organized and presented. The examples shared by trainer were excellent and makes training easier. I am confident about applying the ITIL concepts at work plus the certification exam is a simplified affair now. Thank you MSys for this amazing experience. Very good experience for me. Feel confident about appearing for the certification exam. Happy with the way the training was conducted and the training material that was covered. The examples shared by trainer were excellent. Good job MSys! Awesome learning experience. Excellent trainer with vast knowledge on the subject, excellent batch planning and lab session. The Big data sessions were really informative and imparted good knowledge on Hadoop technologies and use cases. Training also covered hands-on demo on key features and use cases. MSys has done a great job with the entire course package. The content, presentation, structure of course, and to top it all the facilitator was an excellent person. Knowledgeable and highly skilled in the domain. Real good examples. The simulations too are well done. Awesome experience being a part of this certification course. Thanks guys! Come across MSystraining while searching for online professional certification courses. Joined their project management certification course and very happy with the training and the material they provided for the same. The trainer explained everything very clearly by sharing some real-life examples. Happy to choose MSys for taking the certification training. Well organized and planned session. Very interactive and informative. Highly motivated and knowledgeable facilitator. I liked the way the simulations and labs were taken up and feel pretty confident that about clearing the certification. I am happy to have chosen MSys for the certification training. Keep it up guys! I took a big data and analytics course with MSys Training and very satisfied with the training session. The instructor showed a genuine interest in the group success and made an effort for the team. I am confident about the techniques that instructor shared with us and looking forward to apply those concepts. Very good training session. Excellent lab experience and hands-on practice session. Happy with the way the training was conducted and the training material that covered all details about the quality management. The trainer was interested in resolving the queries to the best of his abilities. Happy to have been a part of the quality management course. Way to go guys! It has been an excellent experience taking the Project Management certification with MSys Training. 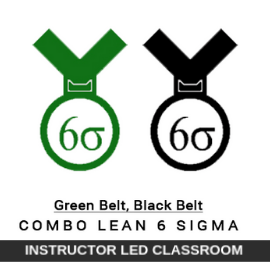 The course content is well-structured and the concepts are extremely easy to grasp. The trainer was skilled and shared some really good examples. The course has widened my view towards the PMP concepts. Thank you MSys for this experience. Great class. Would recommend to everyone! We austerely screen and groom our instructors to ensure that they meet our high standards for training experience for our users. Spending on your learning is the biggest investment one can make and we make it cost effective. “Content is the King” that’s why our content is well structured, easy to understand and timely tested.